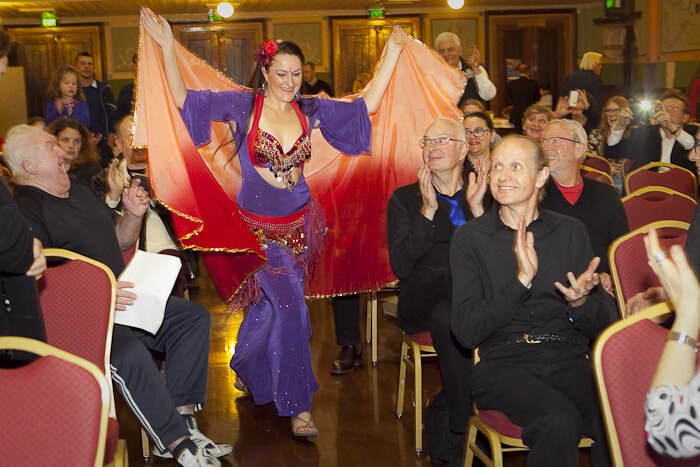 We provide dance entertainment for aged care facilities across Melbourne. 10 years of experience entertaining in the aged care industry. Dancer has police check and current flu vaccination for working in aged care. Shows include Bellydance, Bollywood Dance, Gypsy Bellydance, Arabian Nights Bellydance Show, Turkish Bellydance, Greek Bellydance and more. Suitable for cultural days and general entertainment. Costumes are the colorful covered up type. 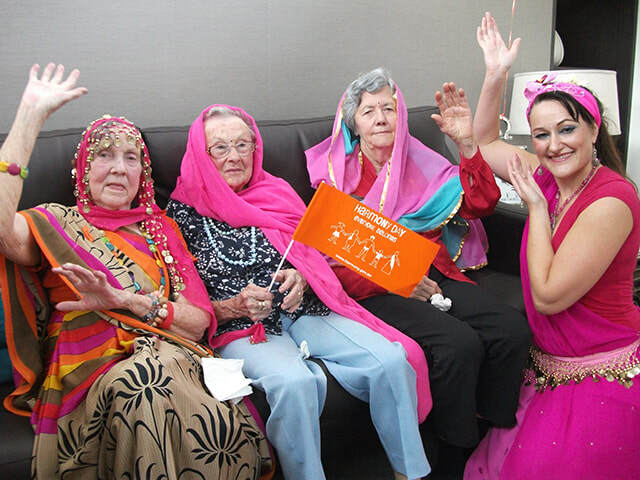 We visit aged care centres, community centres, aged care facilities, nursing homes and more to provide uplifting dance entertainment to your residents. We will travel to you within 1 hour of Melbourne. Contact us today if you are looking for aged care entertainers in Melbourne. To enquire Click HERE and fill out the form. Kaylah has been studying and performing Middle Eastern Dance for more than 15 years. Her lively and colorful dance shows will have your residents smiling and clapping along to the beat. Her visit includes an introductory talk about the dance, a dance show which can include traditional belly dance, dancing with colorful silk veils, finger cymbals and an exciting dance to drumming music. The second part of the show is more interactive – residents are invited to clap along to the rhythms and the dancer moves among the residents. Kaylah can do shows with an Egyptian, Turkish, Greek, Arabian, Gypsy or Lebanese theme making her perfect for your national theme days. Kaylah wears beautiful jewel covered costumes and Folkloric covered-up costumes from the Middle East. Downloadable Posters to Advertise Your Event! Download these word files and add your own details so the residents can see that the dance show is happening on the lifestyle program. The first poster is black and white, the second is color.